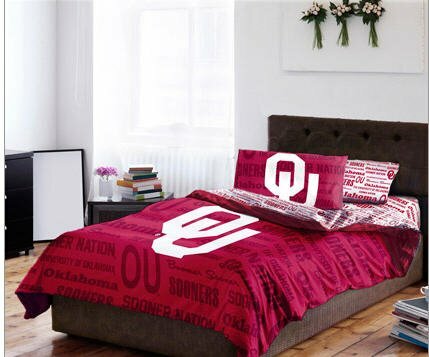 Show your team spirit with the NCAA Comforter Bedding Set in the Oklahoma Sooners design that is vibrantly decorated with your team's colors and emblem. The set includes: 1- FULL Size Comforter, 1- Flat Sheet, 1- Fitted Sheet and 2- Pillowcases. If you have any questions about this product by NCAA, contact us by completing and submitting the form below. If you are looking for a specif part number, please include it with your message.